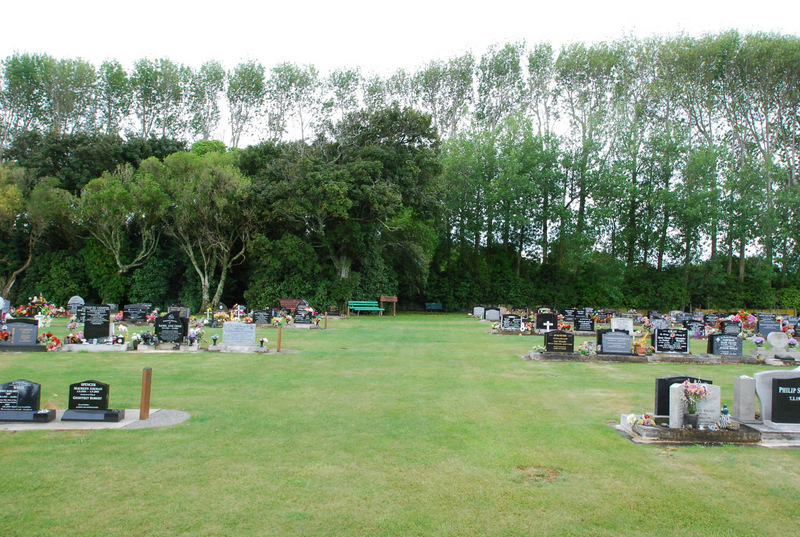 Finally the Horowhenua Parks Dept thought enough was enough. 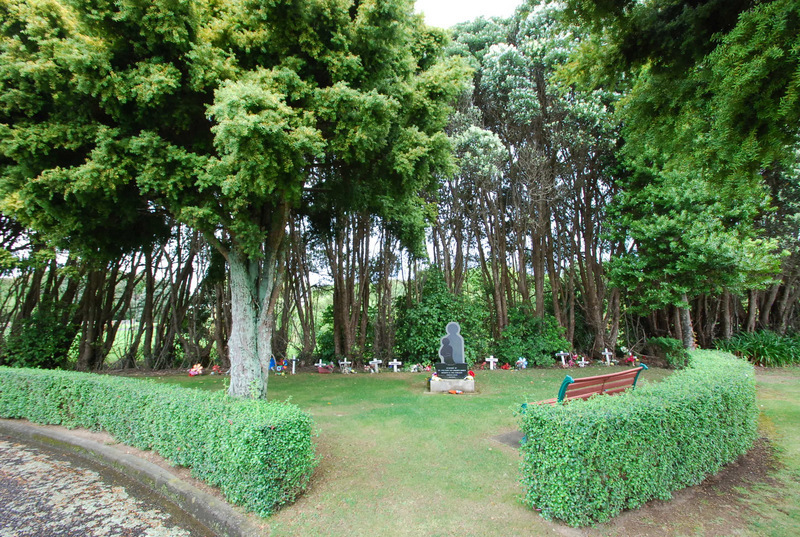 The surroundings of this cemetery have huge potential for creating a beautiful environment for contemplation, spiritual renewal, grieving etc. 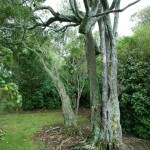 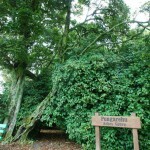 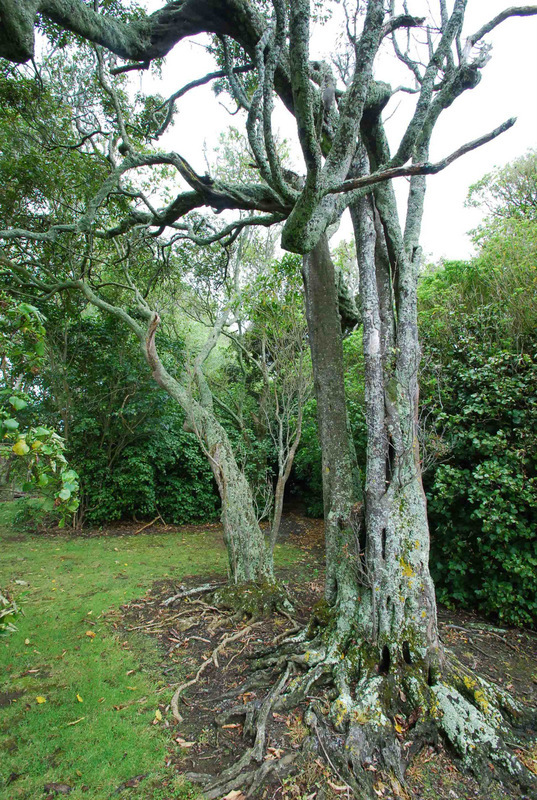 The foothills are not far away, there is a semi-wooded deep gully along one side and a small remnant of native forest survives within the boundary. 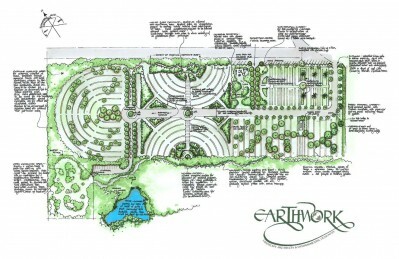 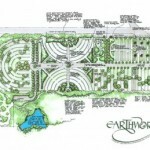 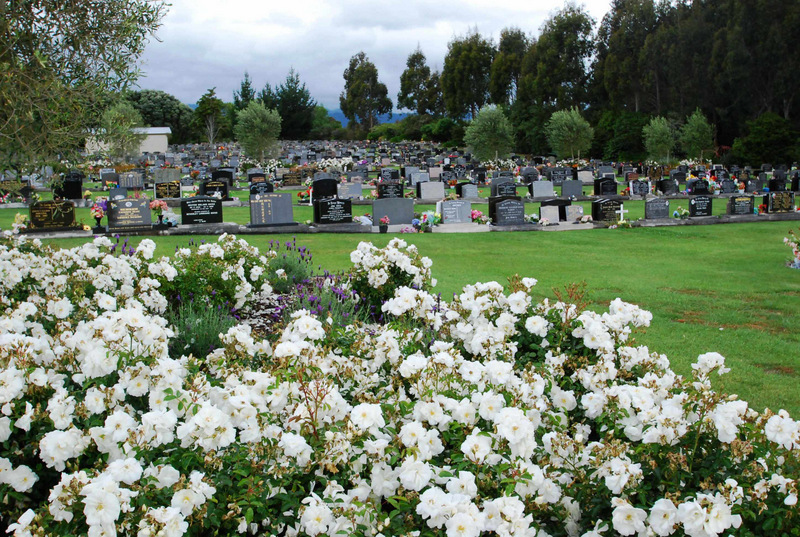 The design concept develops the theme that each person buried here becomes part of the whole – part of the pattern etched on the landscape, not just another plot in the endless, repetative rows. 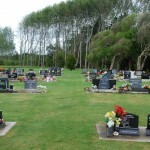 The design creates spaces which are recognisable to visitors – they have less need to remember the number of the row – they remember instead where their loved one is relative to points of interest, and as part of the overall pattern. 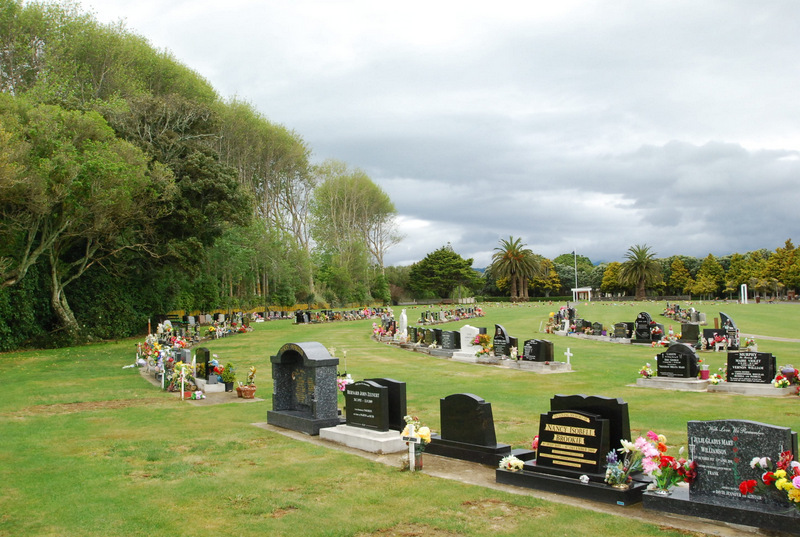 Views are framed to the foothills, avenues lead to the remnant bush and gully ashes scattering areas, and planting bands divide the existing rows of plots into slightly more intimate areas. 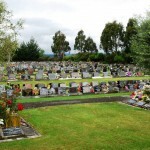 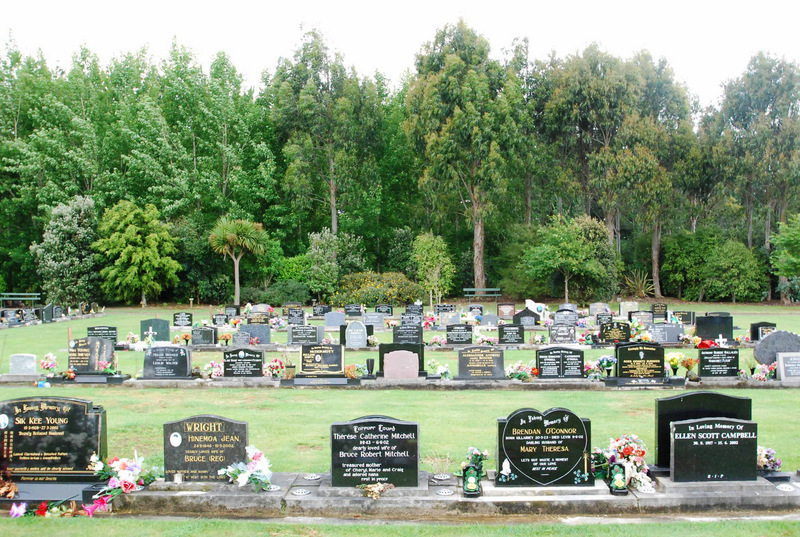 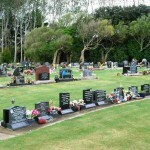 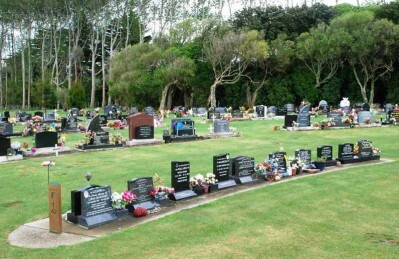 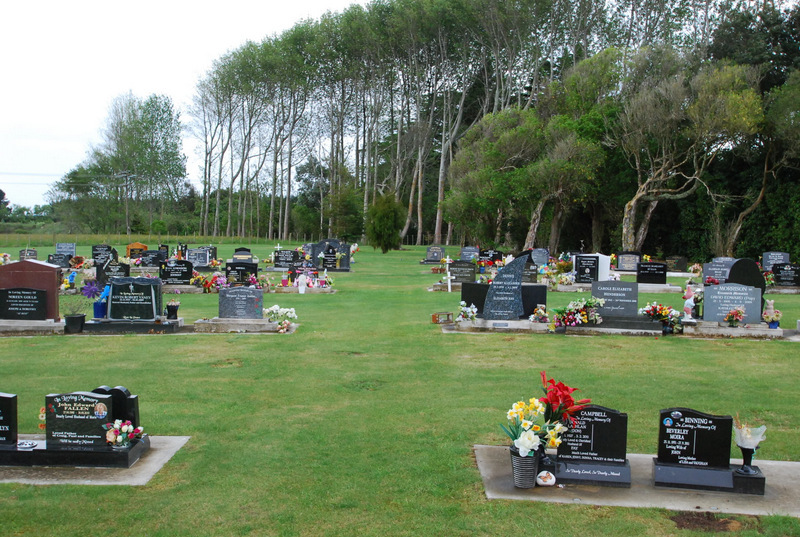 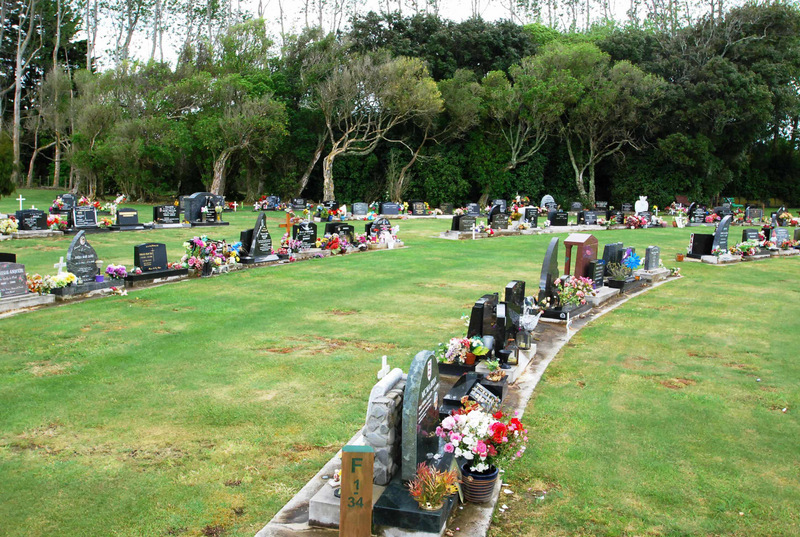 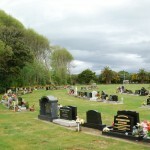 The other problem emerging for this cemetery was the rapid loss of space – individual graves take up a lot of space which is not indefinitely sustainable. 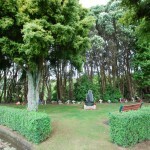 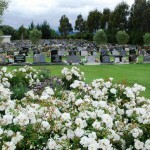 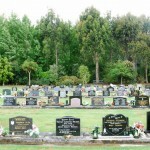 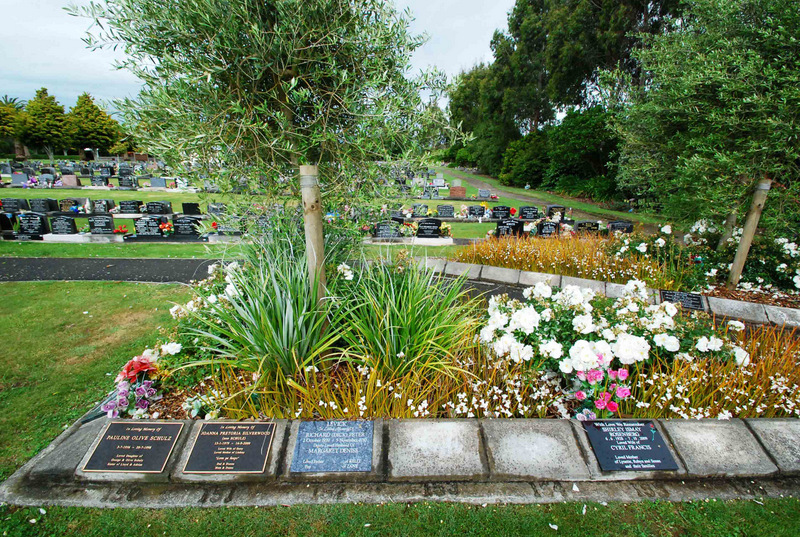 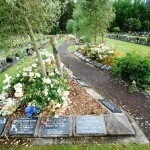 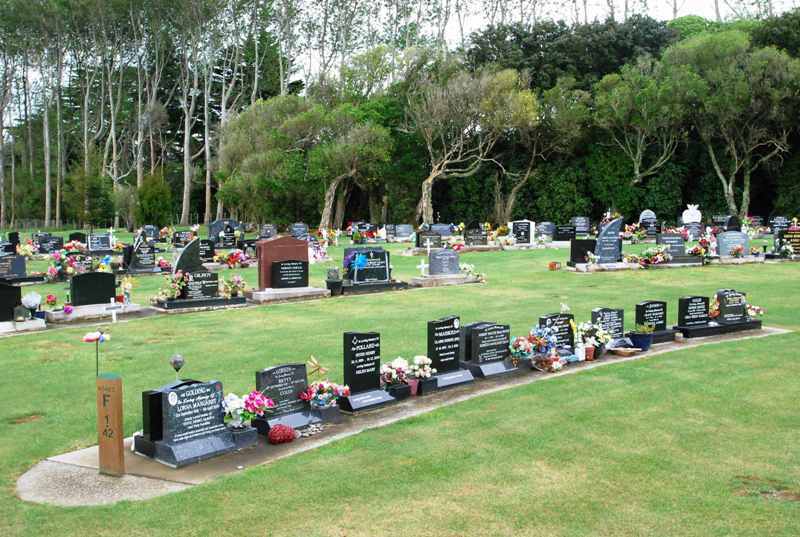 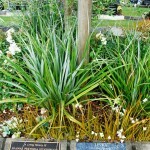 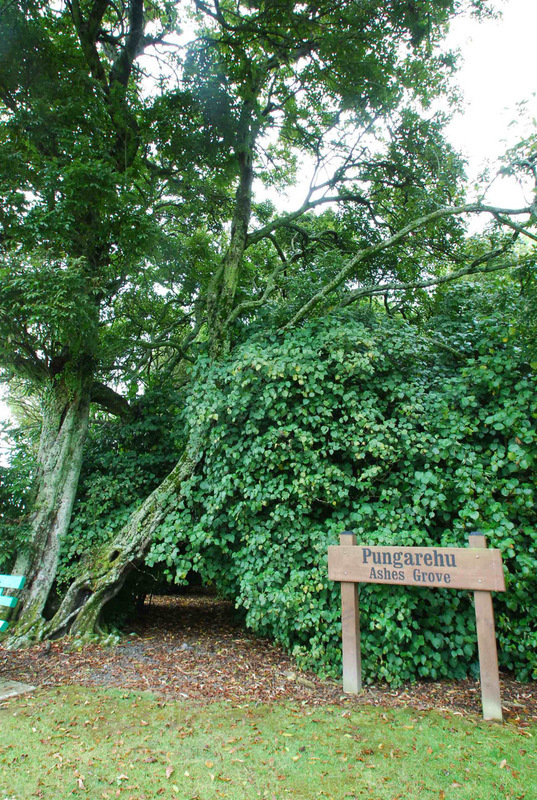 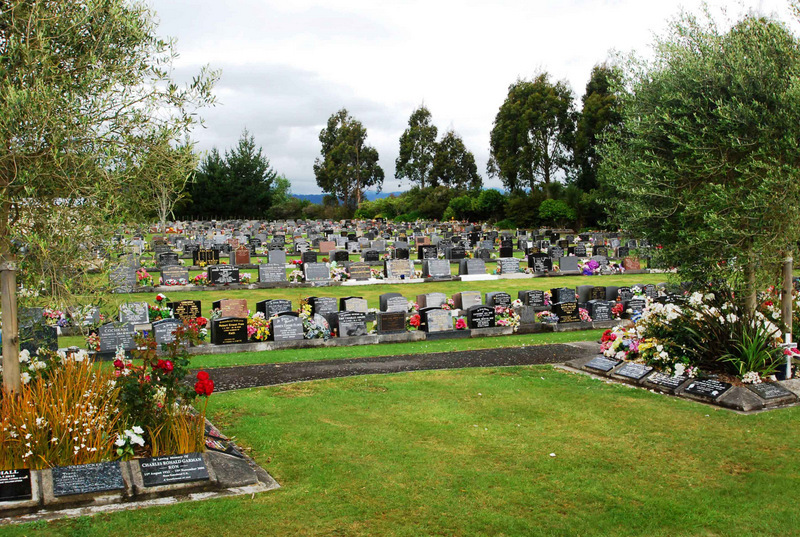 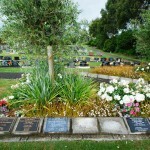 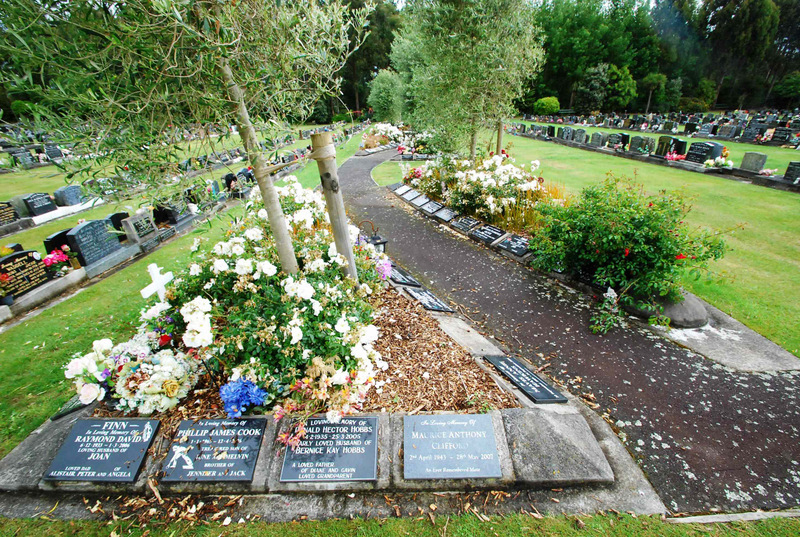 Other options for remembrance were made available to families – shared gardens with peripheral ashes burial plots, dedicated trees, and ashes scattering areas in the “wild spaces” around the cemetery. 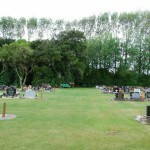 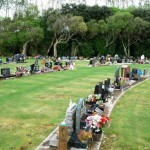 A very sad little edge of the cemetery has been given new significance with the upgrade. 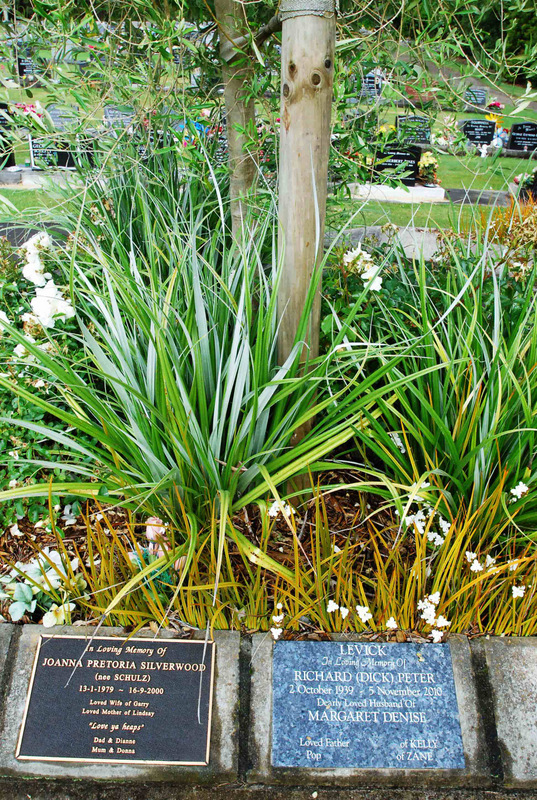 The stillborn children’s burial area, long ignored and tucked away under a shelterbelt on one boundary, has been defined and highlighted with surrounding hedging, seating and a sculptural piece representing a mother’s love and loss.